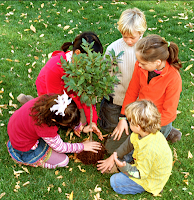 Lexington Houses Blog: Celebrate Earth Day in Lexington! As a Lexington Real Estate agent, it’s great for me to be able to tell potential buyers about the lifestyle that Lexington has to offer, and the beautiful homes that are on the Lexington Real Estate market. In light of living in a town that pays special attention to preserving and creating a great environment for those of us who live here, I thought it would be appropriate to talk about the upcoming celebration of our environment with Earth Day on Monday, April 22nd! This day is set aside to help us all look at new ways we can help create a healthy environment and continue on with those things that are beneficial to our community and the world at large! If you’re looking for ways to dig in and join in the Earth Day celebration, you won’t want to miss this upcoming event! 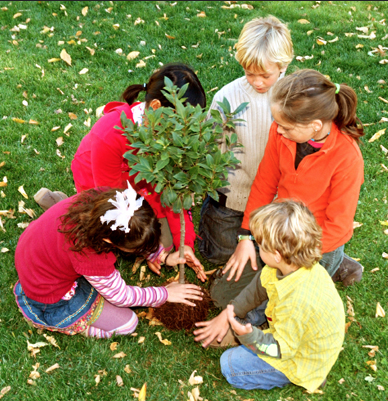 - Celebrate Earth Day by helping out at a local park! The Friends of Spy Pond Park need lots of volunteers in Spy Pond Park to eliminate invasive plants and clean up the park! Meet at the Spy Pond Park Playground off Pond Lane at 1pm on Saturday to help out! Be sure to wear long pants and long sleeved shirts for protection. Bring water, insect repellent, gardening gloves and garden tools, if you have them, or you may borrow from our limited supply. All workers must sign and bring an indemnification (liability waiver) form once each year (parents must sign for those under 18), available to download at http:www.friendsofspypondpark.org. Please RSVP to Lally Stowell at 781.777.2759 if you plan to attend! If you aren’t able to help with the work day, but would still like to play a part in keeping our Lexington environment healthy, what better way than to start in your own home! Begin applying these tips in your Lexington home and help contribute to Lexington’s common good! • Install a programmable thermostat. That way, if you leave your Lexington home during the day, you can program the thermostat to adjust while the house is empty, allowing you to save ample energy and money on your air-conditioning bill. You can set the thermostat to return to its regular setting about an hour before you return home, so you’ll never know the difference! • Replace your light bulbs with fluorescent bulbs. They provide just as much lighting while using less energy and lasting far longer. • Switch to energy efficient appliances. When it’s time to replace a kitchen appliance, choose one with an Energy Star label on it. These appliances meet efficiency guidelines created by the U.S. Department of Energy and the Environment Protection Agency. While they are more expensive initially, the amount of energy you will save makes up for it in the long run. • Only run your dishwasher when it’s full. This will ensure you’re only using the dishwasher when you absolutely have to. Also, after the dishes are clean, open the dishwasher door and allow the dishes to air dry rather than using the washer’s drying cycle. • Switch off your electronics. Though many people have gotten use to the idea of having electronics available 24/7, you should turn off your computer and monitor when not in use. You could turn off your cell phone at night too, if not using as an alarm clock. • Plug as many electronics as you safely can into a power strip, which allows you to easily turn the strip off when the items are not in use. This could include TVs, DVD players, computers, toasters and more, which all use several watts of power even when not in use. • Reduce water usage. Take shorter showers and turn the water off while you wash your hands, brush your teeth, apply face wash and any other time the water is not in use. • Recycle! You’ll find various recycling bins around Lexington that will allow you to recycle plastics, aluminum, paper and other materials. Lexington residents are allowed 2 free recycling bins per household; additional bins can be purchased for $6.00 at the DPW Operations Facility at 201 Bedford Street. For more information on Lexington’s recycling, please visit the Lexington MA website. I hope these tips inspire you to take the next step in helping to preserve the Lexington environment! It’s a beautiful place to live and we should all be doing our part to keep it that way for generations to come! Are you thinking of moving to Lexington? Let me know! I’d love to talk with you about your real estate needs and help you find a home that fits your needs, budget and lifestyle!